An arrest for driving under the influence in central Ohio goes through five stages regardless of whether a driver gets pulled over or enters a DUI checkpoint. We briefly describe each below. Keep in mind that if you find yourself facing an arrest for the charge that police and prosecutors call operating a vehicle while intoxicated, you have an undeniable right to call a Columbus DUI defense lawyer for advice and representation. 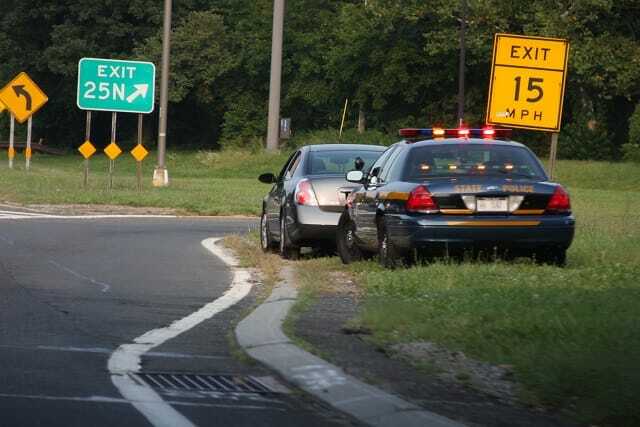 An officer has the authority to check a driver’s license, vehicle registration, and insurance coverage at any time. Drivers must comply with requests for these documents or face getting tickets or being arrested. In fact, most of the citations issued at DUI checkpoints are for expired licenses, lapsed registrations, and driving without insurance. Saying as little as possible during a traffic stop or at a DUI checkpoint will limit your exposure to falling under suspicion of OVI. Do not act rudely or start an argument. An officer will interpret either behavior as grounds for looking even closer for signs of intoxication. Officers are trained to smell for alcohol and smoke, pay close attention to how drivers speak and move, and look through windows for open containers and drug paraphernalia. Any suspicion of intoxication will prompt an officer to ask the driver to perform a series of field sobriety tests. Ohio courts do not admit evidence from breath test devices used outside of certified facilities, so drivers in Franklin County rarely need to worry about blowing into a handheld breath tester. They will, however, be asked to follow a pen light using only their eyes, walk a straight line heel-to-toe, and stand on one leg. Drivers have rights to refuse every request to participate in field sobriety tests. Officers cannot arrest anyone for refusing, but saying no will not prevent getting taken into custody. If you do perform some or all of the tests, the officer can use their assessment of your performance at trial. A DUI defense lawyer will question the validity of the assessments. An officer who believes they have collected enough information to establish that you are impaired will take you into custody to conduct breath, blood, and urine tests for alcohol or drug use. You have the right to refuse these tests, but refusal will result in a license suspension. Except in rare circumstances when a driver has multiple OVI-related convictions on their record, an officer must inform a suspected intoxicated or under-the-influence driver of their rights to refuse to provide samples for breath, blood, and urine testing. If the officer fails to provide this information, a Franklin County DUI defense can usually get any test results declared inadmissible as evidence. The officer must also inform a DUI/OVI suspect that refusing to provide breath, blood, and urine sample can result in an immediate license suspension. Speaking with an OVI defense attorney can help a driver decide whether to comply with alcohol and drug testing or to decline the request. An offer who suspects a driver of operating while intoxicated can make an arrest at any time. The officer must tell the driver that they are being arrested, and the Miranda warning should be read at that time. Getting arrested for OVI generally means spending at least one night in jail or having a sober individual sign for responsibility. An official hearing called an arraignment must then be held within five days of the arrest. A driver can plead guilty or not guilty during the arraignment and announce their intentions to appeal the administrative license suspension. Not entering a plea results in the judge submitting a not guilty plea, which allows the driver to go to a trail at which guilt or innocence will be determined. A driver can use a public defender during their arraignment and then hire a dedicated Franklin County DUI defense lawyer at a later date. You can speak to an attorney who has handled hundreds of OVI cases by calling The Maher Law Firm at (614) 205-2208 or filling out this online contact form.